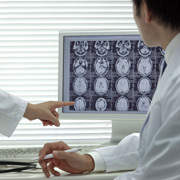 Teleradiology has emerged as the potent force in the global healthcare industry over the past decade. The ability to transmit digital radiographic images for remote interpretation has reduced the on-call workload of hospital's in-house radiologists, eased the shortage of radiologists and delivered powerful new found expertise and capacity to rural and understaffed practices around the world. We at Outsource2india offer comprehensive after-hours teleradiology or nighthawk teleradiology services with expertise in reporting of all modalities. Outsource2india's reliable nighthawk radiology reporting services are designed to reduce the pressure that comes along with emergencies and round-the-clock service. We operate from our multiple delivery centers and hubs located across the world, ensuring that our radiologists are available at all times. We specialize in providing consultant level high-quality final reports within a quick turnaround time. Outsourcing nighthawk reporting to O2I can help you improve the quality of service significantly in a cost-effective manner. We offer a two-phase certified reporting service. In first phase, the medical image is read by two radiologists and the case is reported, and in the second phase the image is read by board certified radiologists for the final sign-off. Our radiologists also provide preliminary reporting services where a radiologist does the initial reporting and a senior radiologist reviews and sends it back to your radiology panel for the final sign-off. These reports will be in the format required by the client. We offer fast and accurate comprehensive teleradiology services with expertise in reporting of all modalities. We specialize in providing backlog reporting support and overflow management services to maintain optimum service levels. The duration of the drug development cycle may be prolonged due to radiologic reporting delays. We offer clinical research organizations and biotechnology companies the opportunity to shorten their development cycles by using clinical trials radiology reporting services. By outsourcing nighthawk teleradiology services, one gets access to the highly trained, qualified and experienced radiologists who understand the commitment to providing the best possible care. When you outsource Teleradiology services to us, you get access to specialized nighthawk reporting services for different modalities such as CT, MRI, Mammography, Ultrasounds, plain films, etc. When you outsource your nighthawk teleradiology requirements to expert radiologists, you can be assured that the reports produced will be of high quality and accurate. By outsourcing after-hours teleradiology services to a third-party it becomes very easy to manage patients in an effective manner, be it any time of the day or night and the right diagnosis can be provided within minutes. Outsourcing nighthawk teleradiology services ensures that you get expert 24X7 coverage and the patients gets the required care. With outsourcing teleradiology, the need for radiologist to travel is greatly reduced and it equips the radiologist to work from anywhere, which also minimizes the costs to a large extent. By outsourcing your requirements to a third-party service provider it becomes easier to access the remotest of areas. Better access, quick imaging results, and low radiology costs can all contribute to making a hospital more competitive. Why Choose Outsource2india for Nighthawk Teleradiology Services? Outsource2india is a leading healthcare BPO service provider for over 20 years now. Our nighthawk Teleradiology services are not just cost-effective but also fast and reliable. Our expert radiologists go an extra mile to provide fully transcribed reports (in any format of your choice) at no extra cost. Outsource your after-hours teleradiology service requirement to us and give your patients the best possible care. If you have any kind of nighthawk teleradiology service requirement, feel free to write to us or talk to one of our representatives and we will be happy to help you.